ELIZABETH CITY, N.C. The Coast Guard says a woman who was rescued in the Atlantic after abandoning ship in rough weather churned up by Hurricane Sandy has died. Coast Guard Petty Officer 3rd Class David Weydert says 42-year-old Claudene Christian was unresponsive when she was pulled from the water Monday evening and was later pronounced dead at a hospital. 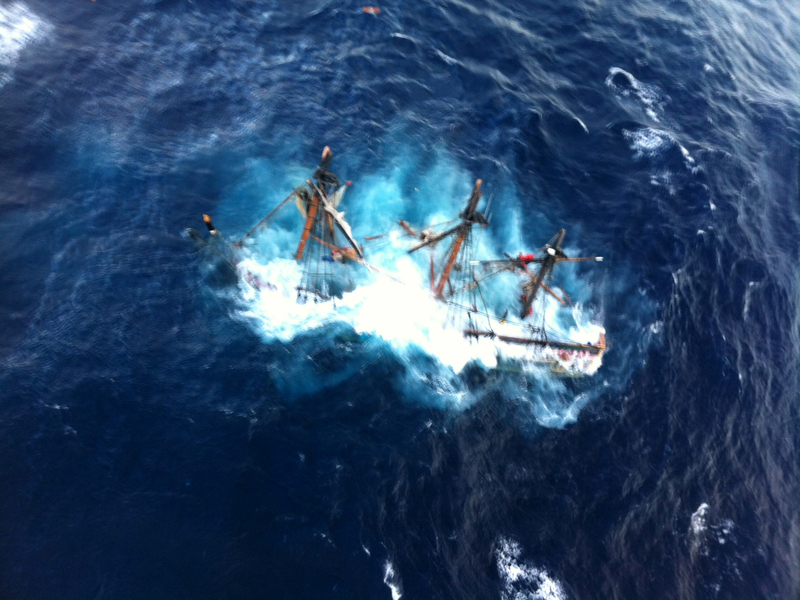 The Coast Guard rescued 14 other crew members by helicopter Monday. The ship was originally built for the 1962 film "Mutiny on the Bounty" starring Marlon Brando, and it was featured in several other films over the years, including one of the "Pirates of the Caribbean" movies. The Coast Guard is still searching for the ship's captain. The crew was eager to return to St. Petersburg  and to calmer waters. Wallbridge learned to sail at age 10, according to his biography on the Bounty's website. Prior to the Bounty, he served as first mate on the H.M.S. Rose  the Bounty's sister ship. Foster said the city on Florida's Gulf Coast always considered itself the ship's home.